All Secure Sockets Layers have three primary functions: eliminate data tampering (which keeps your customers personal information safe); stop eavesdropping for added privacy; and combat message forgery for guaranteed authenticity. You do not need to invest a lot of money to get all three of these functions. Low cost SSL certificates can provide them equally as well as some of the more expensive options. For example, you can easily find value for less than $100 a year. Although, you can also spend up to $1,000 a year, too, but it’s not always a case of getting what you pay for. Your reputation and revenue depends on your ability to keep customers happy, and trust is an important aspect of the customer experience. 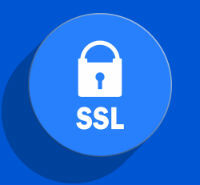 Some SSL certificates come with a seal that is prominently displayed on your website. Seeing that visual cue lets customers know their data is safe and can make them more likely to trust the transaction—time and time, again. It must be noted, though, that popular SSL certificates with highly regarded seals often don’t come cheap for that very reason. SSL certificates can also include warranties. Should they malfunction or perform in ways other than intended, the SSL certificate issuer can provide coverage. As you might have already guessed, this benefit is not included on all low cost SSL certificates, so be sure to check if a warranty is important to you. One other feature that you may come across during your research is called the Wildcard. SSL certificates with Wildcards cover your primary domain, as well as all subdomains. For example, the Wildcard would cover xyzcorp.com, as well as mail/xyzcorp.com and store/xyzcorp.com, etc. However, it is rare to find Wildcard coverage on a low cost SSL certificate. Comparing and contrasting the different SSL certificate options is the best way to determine which one will be right for your e-commerce business. We took a sampling of low cost offerings—all under $100 per year—and uncovered some significant values. In the “bare bones” category, there are a number of free certificates that offer basic coverage against data tampering, eavesdropping, and message forgery. For as low as around $10 a year, warranties can be added; the higher the annual rate, the greater the warranty amount. At around $50, brand recognition becomes an added benefit. Both business owners and customers will see names they trust. For about $60, seals are included to help convey an even stronger layer of trust. Wildcards become an option around the $70 level for those that require that broader certification. Because each e-commerce business is so different, it is difficult point you toward one specific SSL certificate. Your best bet is to diagnose your needs and dedicate some time to researching providers. Keeping our above tips in mind will help you cut through the noise and focus on the certificates that suit your business. Remember, you don’t necessarily need to pay a boatload for good protection--there are a number of low cost SSL certificates that offer significant benefits to you and your customers. Read more articles about features and add-ons to consider when you create an eCommerce website.